Pseudomyrmex sp. (gracilis ?) (Elongate Twig Ant). Size: approx. 10 mm. Photo: 08/16/11, 10 am. Since the 1960s the Elongate (or Mexican) Twig Ant (Pseudomyrmex gracilis) has become widespread in Florida. It has a painful sting. Nests are small (few ants), have a single queen, and one small entrance. Unlike other species in this genus, P. gracilis is not an acacia-specialist, but nests in a wide range of vegetation. This specimen was darting swiftly over my lantana leaves, which made it difficult to take this photo. 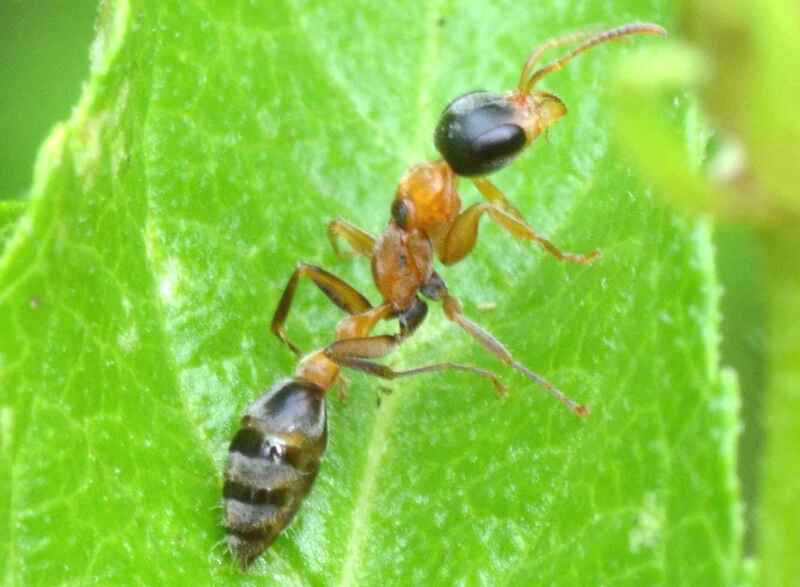 There are other Pseudomyrmex species in Florida.